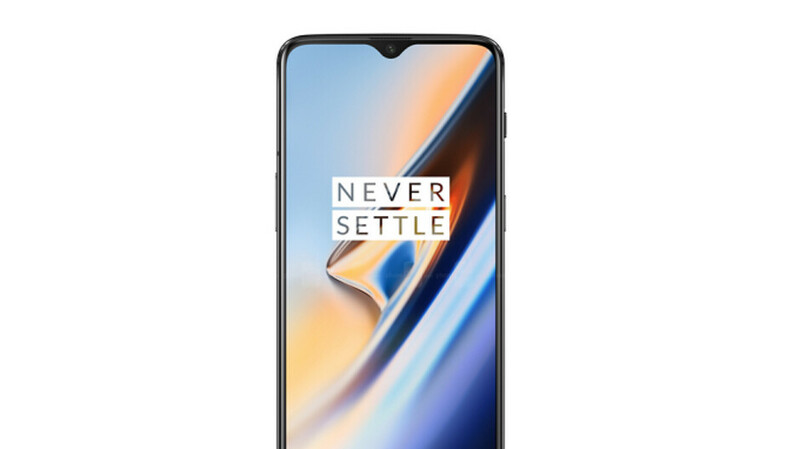 A post on the official OnePlus Forums site (via Android Police) from one of the company's copywriters bring us some new information about Screen Unlock, the in-display fingerprint scanner found on the OnePlus 6T. With Screen Unlock, you can open your phone in as fast as .34 of a second. Apparently, OnePlus had been testing an in-screen fingerprint scanner for the OnePlus 5T, but was not happy with the performance of the technology at that point. So OnePlus continued to work on it over the subsequent year until it was happy with the final design of what became Screen Unlock. When a user presses his finger on the screen to scan his fingerprint, a green light illuminates the finger, and thus the fingerprint. OnePlus found that green light does the best job when it comes to recognizing fingerprints. The light is reflected off the finger and is read by the scanner. The information and data received by the scanner is compared to the phone owner's fingerprint information stored on the Snapdragon 845 Mobile Platform. If the data matches, the phone is unlocked. Here's the cool part of Screen Unlock. As the phone learns how you like to unlock it, "sophisticated algorithms" allow the feature to work faster and more accurately to unlock your OnePlus 6T. Every time you unlock the phone using Screen Unlock, the sensor records areas of your fingerprint that were missed during the original registration. This means that the more you use the feature, the more complete is the fingerprint data recorded on the phone. Over time, Screen Unlock will work even faster than it did when you first used it. Even if you have a cut, or your fingers are wet, if the phone is unlocked under these conditions, this information is added to the stored data to make unlocking the OnePlus 6T as fast as possible. And OnePlus has some tips on how you should use Screen Unlock. Before registering your fingerprints, make sure that the OS on your device has been upgraded to the latest version. Make sure that the temperature isn't too high or too low, and the company suggests registering your fingerprints in an environment that is not too bright. In fact, OnePlus recommends that you do it in a completely dark location. When you are ready to use Screen Unlock, make sure your finger and the display are both clean. Hold your fingerprint in the "fingerprint identification area" until the phone unlocks. You might have to play with the pressure you are putting on the screen with your finger until the device recognizes the fingerprint. OnePlus also recommends using its official screen protectors for the OnePlus 6T. At the end of last month, the company released its own tempered glass screen protectors designed to support Face Unlock. OnePlus suggests re-registering your fingerprints every time you change the screen protector. For the fastest unlocking experience, OnePlus says to use both Face Unlock and Screen Unlock at the same time. it's true my main fingerprint that I use has gotten faster, maybe the others have as well but I don't use them enough to tell. With each update the one on my NexS has gotten faster. Since it's basically the same company I guess the same applies. This sounds similar to Google's fingerprint scanners when they came out on the Nexus devices. This is amazing. I didn't think the 6T could be any better until PA posted another article detailing another amazing feature. That's why I said the 6T is the absolute BEST smartphone of 2018. Best way to do the notch too. Looks like a good phone.